Snow tires, also known as winter tires, are specifically designed to provide traction on snow and ice. However, they also have less traction than summer, or all-season, tires on smooth, dry surfaces. The choice of snow tires is especially critical for plow trucks, which must push heavy loads while driving in winter conditions. The criteria for selecting a plow truck tire include studs, tire size, tread pattern and construction materials. 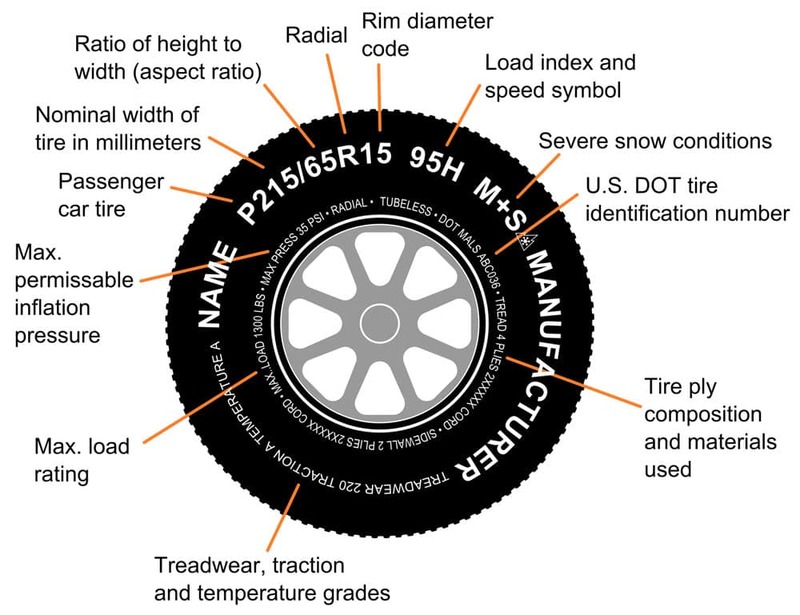 Modern snow tires typically have metal studs to improve traction on ice packs. However, these studs also damage road surfaces and their use is therefore prohibited in some jurisdictions. Countries such as Canada, the US and Scandinavia have the most liberal laws regarding studded tires. The studs typically consist of two separate components, including the jacket and pin. The jacket encapsulates the pin and anchors the stud to the tire. It’s made of a relatively soft material, so it quickly wears down to the level of the tire, exposing the pin. The pin is made of very hard material, typically tungsten carbide. Once the pin is exposed, it digs into the driving surface to provide greater traction. The pin should protrude at least one millimeter out of the tire for the best results. The rubber tread for studded tires is manufactured with molded holes in the treads, typically up to 100 holes per tire. The manufacturer then uses a special tool to spread the hole open and insert the stud. A flange on the bottom of the stud allows the jacket to fit tightly into the hole. The length of the studs must be carefully matched to the depth of the tread to ensure the correct protrusion. The jacket on a properly inserted stud will be flush with the tread surface so that only the pin protrudes from the tread. The precision required for this process means that studs should only be inserted into tires that have never been used. Some studded tires allow the driver to retract the studs by pressing a button, thus avoiding damage to the road surface when studs aren’t in use. Tires for all vehicles have generally been trending towards larger wheel sizes and widths with lower profiles. Wheel sizes on older vehicles are typically in the range of 13 to 15 inches, whereas modern vehicles usually have wheel sizes between 16 and 18 inches or even larger. 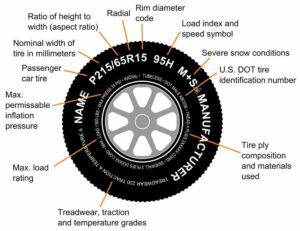 These characteristics provide the traction on smooth, hard surfaces, but snow tires need to be thin and narrow with a high profile. The snow tires for a plow truck should generally have the highest profile that will fit within the wheel well and over the brakes. These tires should also be as narrow as possible, while ensuring they still have the necessary load capacity. These characteristics provide the best traction for winter driving and greater resistance to damage from rough surfaces. The tread pattern that provides the greatest traction is highly dependent on the driving surface. For example, rain tires need a few wide treads to quickly divert water away from the tire. On the other hand, snow tires benefit more from many narrow treads known as sipes. Siping is the process of cutting slits across a rubber surface, typically for the purpose of improving traction. A greater number of lateral sipes generally increases traction in snow up to a point. However, they also have very poor traction on hard, wet surfaces. Manufacturers typically cut larger sipes into the tread during the manufacturing process, although some companies cut smaller sipes, or micro sipes, into the tread as an aftermarket service. Snow tires are made from a softer rubber that will grip uneven surfaces. The rubber in snow tires must also tolerate low temperatures without cracking. However, soft rubber will also wear out more quickly, especially in high temperatures. The specialized nature of snow tires means that they should only be used in winter conditions. Plow truck drivers therefore need to keep two sets of tires, one for winter and one for the rest of the year.